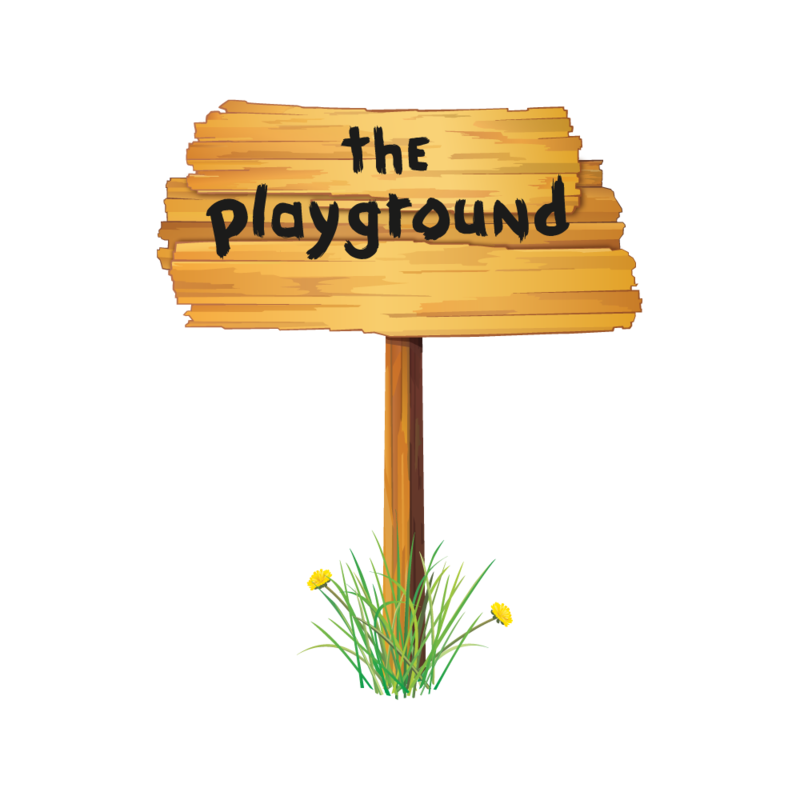 The Playground is an enormous, multi-level indoor play place for children that was entering a very crowded market. They needed a brand that would clearly express who they were, and that would differentiate them from similar venues. The belief that separated the Playground so sharply from the competition was the importance of creativity in play. The owners did not accept that children should be occupied and kept busy. Rather, they wanted to build a place that would offer children dress up stages, puppet theaters, blocks, climbing walls, art and craft spaces, and all the raw materials for children to be able to create their own fun and games. There was no ready-made, passive entertainment. Everything actively involved the child. Summa Creative was asked to build the brand that would separate the Playground from the competition and show that they offered a different approach to play. A quick investigation into other play places showed what we needed to avoid. Bright, primary colors, big bubble type, balloons, and an overwhelming feeling that more was more prevailed. The other brands pulsed with exactly what the Playground felt was wrong with the market - overstimulation. To build their brand, we went back to the core belief that children should be provided a safe place and the building blocks to play and create, and then left alone to imagine and romp. Thoughts of a simpler time. We wanted the entire identity to reflect the creation of a child - not a bright, slick, polished presentation designed by an adult for a child. The logo itself is the sign that neighborhood kids would make to proudly mark their territory. Rough planks of wood hammered into a post with their best possible second grade handwriting. 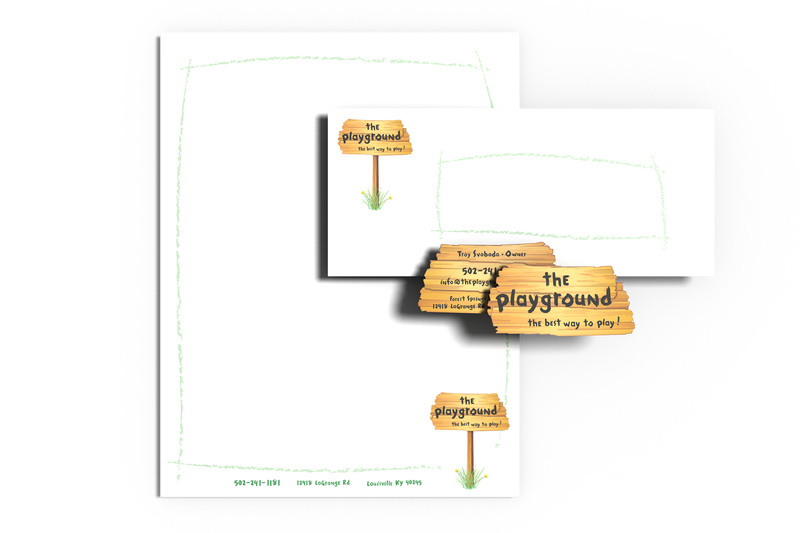 All informational areas of the brand are created and separated by a green crayon frame - rough, uneven, and irregular. Perfectly unsophisticated. This frame gave ample negative space in advertising and signage to draw the eye. The business cards were die-cut images of the sign and a complete departure from any others in that market. The identity was an immediate success, and communicated exactly what the client wanted - a sense of childlike, not childish.